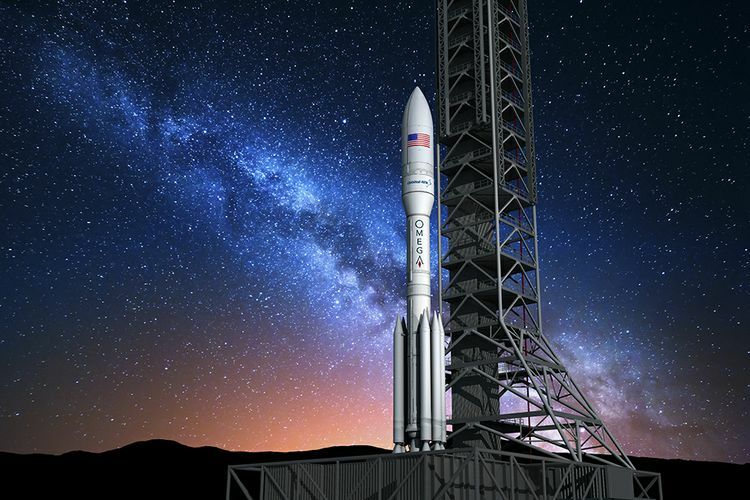 Orbital ATK further revealed details of its all-American OmegA™ launch vehicle supporting the Evolved, Expandable Launch Vehicle (EEVLV) program for the U.S. Air Force this week at the Space Symposium in Colorado Springs. As one of the company’s largest strategic investments, OmegA will provide intermediate- to heavy-class launch services for the Department of Defense, civil government and commercial customers beginning in three years. OmegA represents the book end of the company’s rocket lineup, from small to large class. The O and A at the beginning and end of OmegA reflect the Orbital ATK name and company innovation that is found in the vehicle. Similar to the company’s other rockets, which are named after constellations or stars, the name also represents the largest star cluster in the Milky Way. Called Omega Centauri, this cluster contains approximately 10 million stars and a total mass equivalent to 4 million solar masses. It is one of the few star clusters visible to the naked eye. With the addition of OmegA, Orbital ATK is the only company to have operational rockets spanning from interceptors and targets to small-class (Pegasus® and Minotaur), medium-class (Antares™) to now large-class. OmegA is a three-stage rocket augmented by adding up to six strap-on boosters. The rocket takes advantage of flight-proven Orbital ATK avionics, software and other components that are common across all its products. The first and second stages are the company’s large-class solid propellant motors with composite cases. These can be configured in various combinations to build first and second stage boosters for intermediate- and heavy-class configurations. 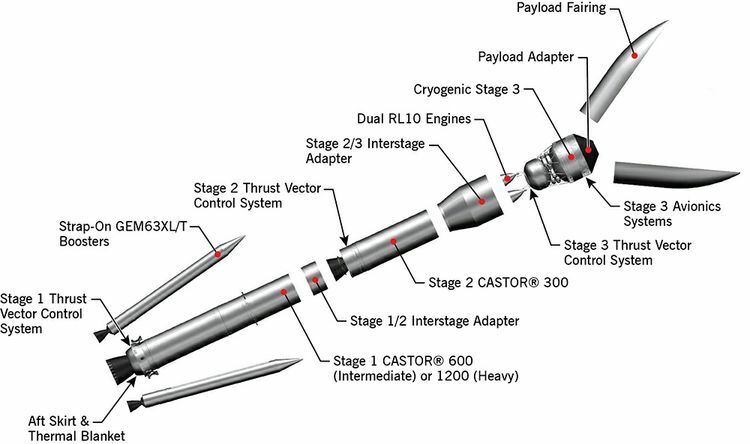 OmegA’s cryogenic third stage is powered by Aerojet Rocketdyne’s RL10C engine. The vehicle also incorporates Orbital ATK large composites interstages and five-meter fairing. Because Orbital ATK is not just a launch provider, there are synergies with other parts of the company as well. For example, OmegA is capable of launching Orbital ATK-manufactured satellites. Orbital ATK has met all OmegA program milestones to date. The company has built four of the large composite motor cases, two of which are insulated and machined and ready for the first cast next week. The program remains solidly on track to complete static tests of our first and second stages by mid-2019. Orbital ATK is building tooling for the upper stage and will start producing propellant tanks early next year. Major design reviews for the launch vehicle and launch site at Kennedy Space Center will occur this summer. Orbital ATK is working on OmegA in Arizona, California, Florida, Louisiana, Mississippi, and Utah, and additional work is being performed by suppliers across the country. Initial flights of OmegA’s intermediate configuration will begin in early 2021, which will certify the vehicle for EELV missions later that year. The initial heavy configuration certification flights begin in 2024.